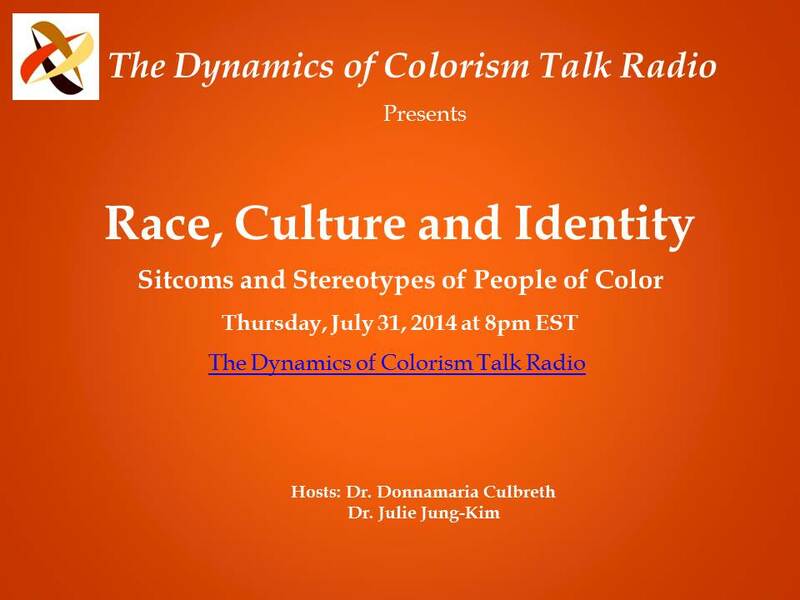 July | 2014 | The Intraracial Colorism Project, Inc.
Race, Culture and Identity: Sitcoms and Stereotypes of People of Color. Question to consider: Are people of color being stereotyped in the name of diversity on sitcoms? Are there set standards of behavior for people of color? What does acting “Black, Asian, or Latino” really mean in the media? Unsung Leaders and Change Agents. 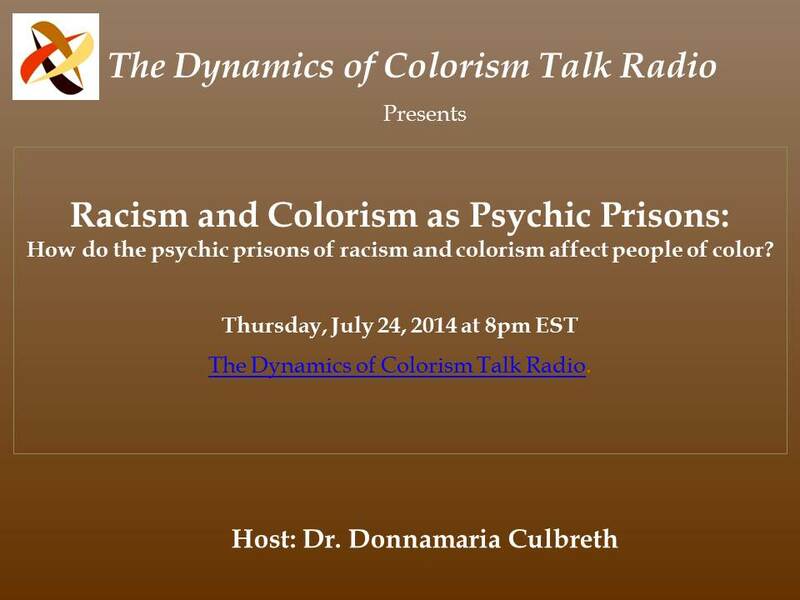 Question to think about: How do the psychic prisons of racism and colorism affect people of color? 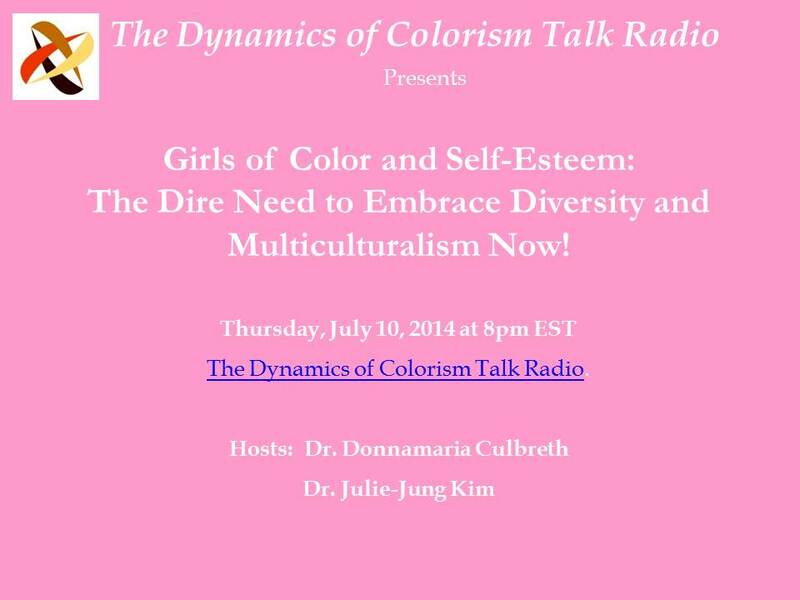 The Intraracial Colorism Project, Inc. will resume planning the Conference on Colorism to take place in 2015. Accordingly, we are seeking additional committee members to join the Planning and other committees. If you are interested in being a part of the change that is needed and helping to plan this monumental event, please visit The Intraracial Colorism Project, Inc.’s website, select the Conference on Colorism tab, and complete the Contact Form. The next planning conference call will be held on Saturday, August 9, 2014 at 7pm EST. Details and the Agenda will be provided in advance. 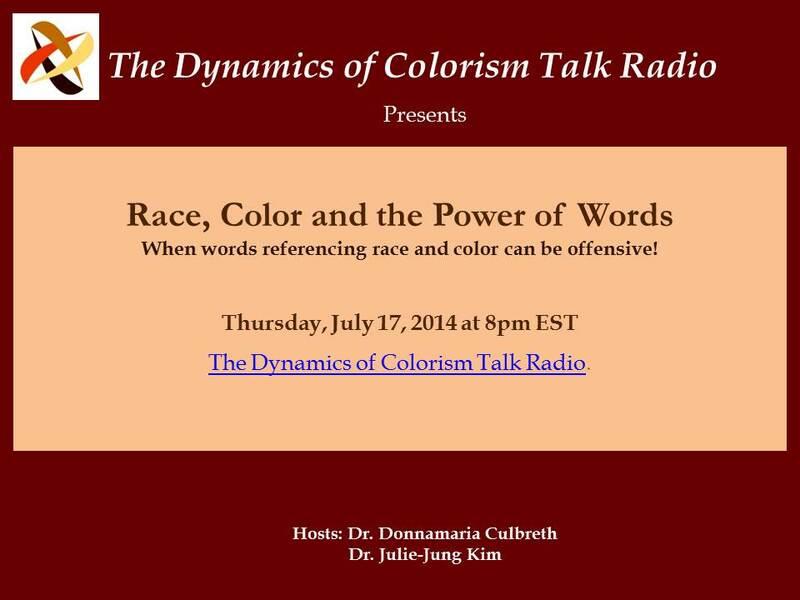 Race, Color and the Power of Words.